Two local artists, Matthew Eames and Jay Phillips will be displaying their dual exhibition in the gallery from April 6th – April 27th. Join us for the opening on April 6th, from 6 – 8 PM at the Carbondale Clay Center. 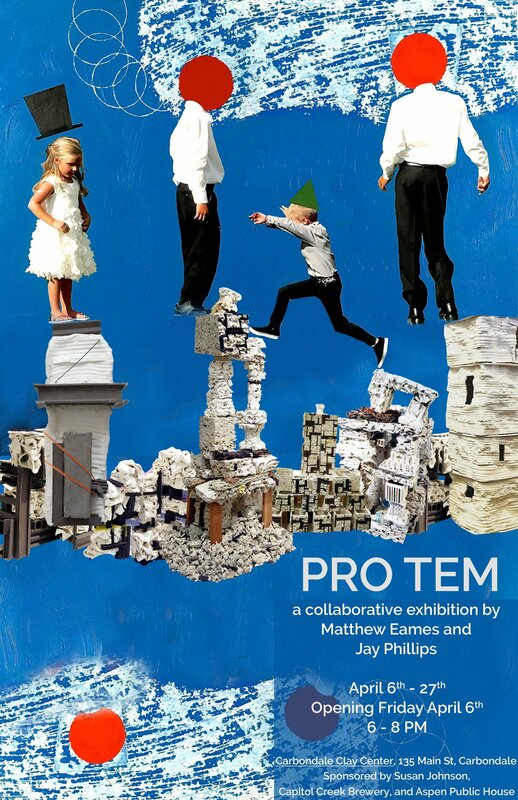 The exhibition is called Pro Tem, named aptly for the Latin phrase meaning “for the time being”. The exhibition is inspired by impermanence throughout time and is combined with the often-ephemeral nature of art. These artists will be using a variety of mediums to create works of art central to this theme.